Valencia, Spain – Nov 20, 2018 – With fertility rates decreasing, the price of surrogacy options in North America increasing and restrictive laws in Canada and in many US states, one Ukrainian clinic is reporting a staggering increase in applications from North American couples. One reason that surrogacy in Ukraine has become so popular in the past five years are the liberal laws which improve the rights of ‘intended parents’. Unofficially Europe’s ‘capital of surrogacy’, Ukraine is one of the few countries in the world which opens up its safe, regulated surrogacy programs to legally married heterosexual couples from all around the world. As a result, a number of Ukrainian surrogacy clinics have begun offering their services to international couples and, increasingly, those from the US & Canada. Local laws ensure that intended parents appear on the birth certificate, meaning that the surrogate has no legal claim to the child. Ukrainian law also insists that at least one of the intended parents have a genetic link to the child, meaning that a sperm or egg donor can also be used in cases where one partner has struggled with fertility issues. Damning reports have emerged of systemic exploitation in Ukrainian surrogacy businesses, with one expert labelling some of the worst clinics “baby factories”. An Al Jazeera feature article published this week details the harrowing story of several surrogates and clients of the Ukraine’s largest surrogacy company, BioTexCom. The company, which employs thousands of surrogates and accounts for over half of the surrogate births in the country each year, has been accused of grossly mistreating women and providing surrogates with substandard medical care. According to Al Jazeera, the BioTexCom offers women generous remuneration (around US$11,000 plus a monthly stipend). Yet it provides “employees” with terrible accommodation during pregnancy, threatens fines if women break strict rules imposed during pregnancy, and fails to provide adequate medical attention through the nine months of child-bearing. 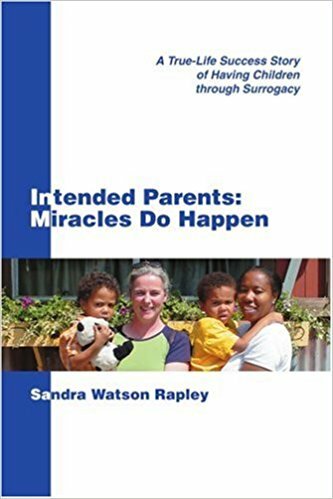 Searching for surrogacy within the US can be an exhaustive and expensive process. Many US couples have opted to look outside of our fine nations borders for better options concerning the surrogacy process. The Ukraine has recently become one of the choice places to look at for surrogate motherhood. Because of the explicit laws, excellent healthcare, ease of travel, and low associated expense, more and more couples that are having difficulty conceiving a family have been looking to and for surrogacy programs in the Ukraine.